It is true that meditation is an important part of some religions, but religion does not have a monopoly over meditation. Anyone can practice meditation, it is more a way of focussing your mind, developing calmness, practicing mindfulness and losing all the unnecessary thoughts from your mind, than it is about any particular chosen religion. Few people today have hours a day to spare for meditation and you don’t need to spend that much time meditating anyway. Some of the busiest and most successful business people in the world use meditation to keep their minds clear and focussed, and it can take as little as fifteen to twenty minutes a day to reap the benefits. You might have images of a dedicated monk, sitting alone in a temple spending his entire life learning the art of meditation, but it’s just not like that, anyone can learn how to meditate. Most people recommend attending some classes, but you can buy books and audio lessons as well that will teach you the techniques. In one study, some students were split into three groups. The first group then watched some television, the second group had a nap and the third were asked to meditate. Later, when they were tested for alertness; the group who had meditated were scored higher on the alertness test, than both the TV watchers and the sleepers. Where morphine can reduce severe pain by approximately 25%, it has been found that meditation can reduce the perception of pain by up to 50%. Scientists, who tested this, found that even though the brain was registering the pain, those people that had practiced meditation reported that they could not feel the pain to the same degree. 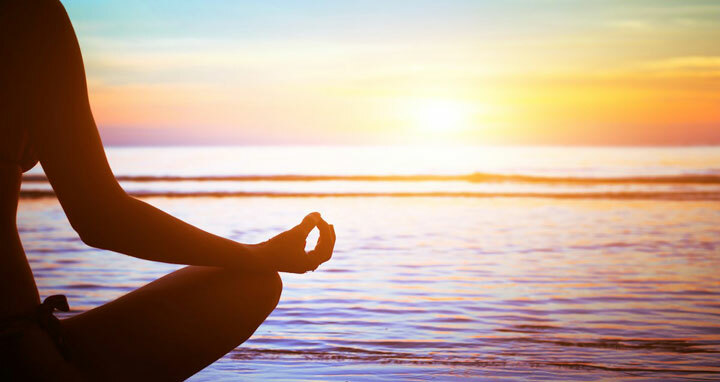 Meditation has been found to reduce the need for medication for sufferers of high blood pressure. In a medical study, 40 out of a total of 60 patients showed a significant drop in their blood pressure following their taking up meditation and their doctor was able to reduce their medication dosage as a result. Some schools are now introducing meditation into their school timetable. It has been shown to improve children’s attention in class, their behaviour and their ability to retain facts. People who practice meditation are generally happier in their lives. Again, science has tested this theory by monitoring some Buddhist monks during meditation and they found that the monk’s pre-frontal cortex, the part of the brain that makes you happy, was extra active during meditation. You can start to feel the benefits of meditation in just a few weeks. You can begin to feel calmer and less stressed very quickly and even sufferers of more severe anxiety and depression problems were reported to have experienced significant benefits in under eight weeks. The real benefits of meditation are not in the period that you spend meditating, but in what you take with you from that meditation. People who regularly practice meditation say that they take a stillness and a calmness away from their sessions that help them cope with various events throughout the day. Do you practice meditation? Have you already experienced benefits of mediation? Please, feel free to share your thoughts in the comment section below.